The iPad App has been upgraded and is now available on the App Store. 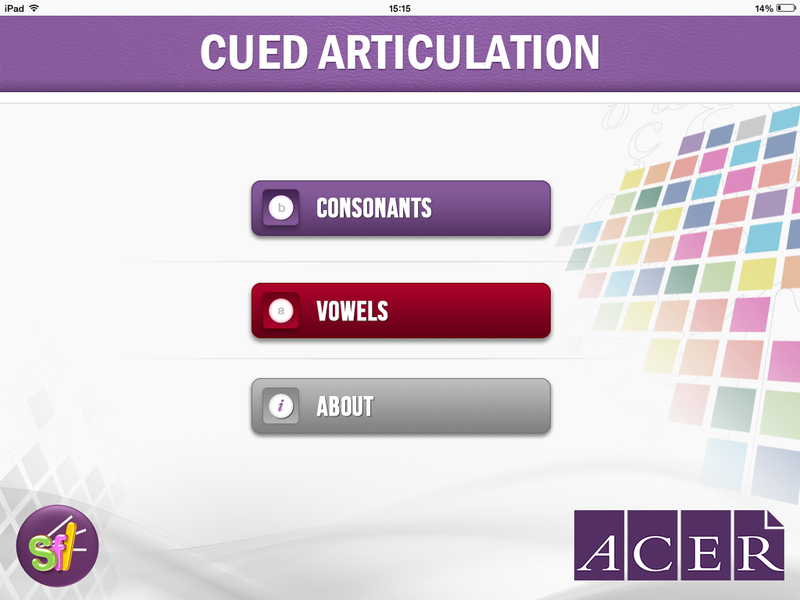 The Cued Articulation iPad app is a handy mobile tool to remind Cued Articulation users of each of the cues and their related sounds. 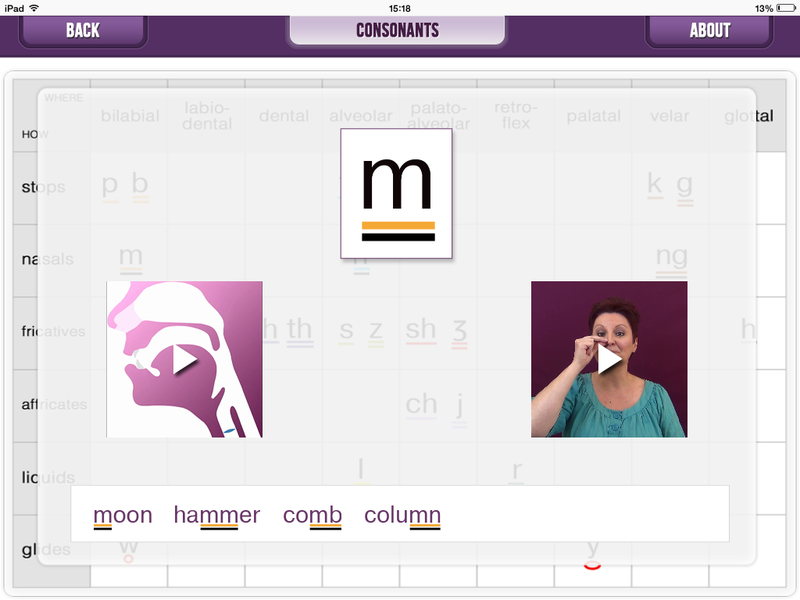 Using interactive consonant, vowel and diphthong charts, the app displays video of the cues for each sound, as well as animated illustrations of the sound being produced. 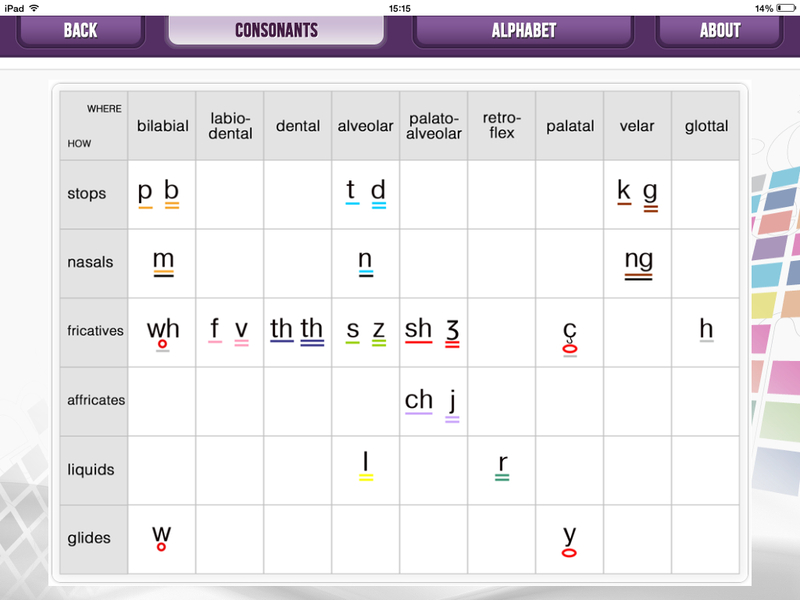 It includes the colour coding that is central to the program, and provides examples of spelling choices. 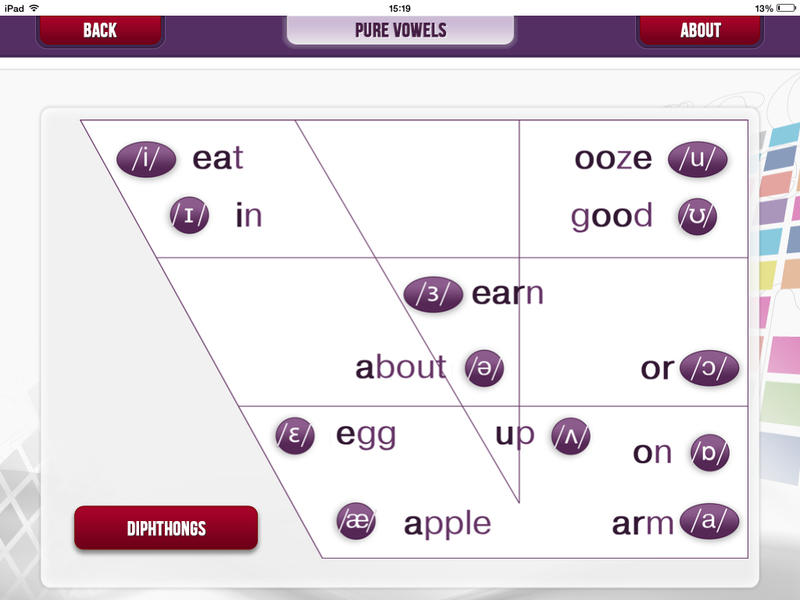 The app is an invaluable extra resource to the suite of Cued Articulation materials produced by ACER. There is a preview video in the App Store. Available for iPad from the App Store for $39.99.